One of the fascinating aspects of the Second Jewish (or Bar-Kokhba) Revolt against Rome is the extensive use of underground cavities and installations for hiding, escape, refuge, defense, and guerilla warfare. Two main types of caves can be distinguished—refuge caves and hiding complexes. The refuge caves are natural subterranean spaces found mainly in the Judean Desert, in the eastern slopes and cliffs of Judea overlooking the Dead Sea and the Jordan Valley (see Vol. 3, pp. 816–837). The artifacts found in them make it evident that they served as places of refuge for the inhabitants of the Judean Mountains and the Jordan Valley when they fled for their lives at the end of the Second Jewish Revolt. 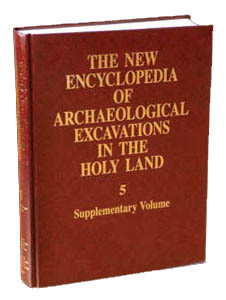 The archaeology of the caves has been studied and summarized by H. Eshel and D. Amit. The hiding complexes, on the other hand, were artificial subterranean spaces, quarried under or near residential buildings in ancient settlements. They are found mainly in the Judean Shephelah, but also in the Hebron and Beth El Hills. They were usually cut out of the soft limestone, which is common in the Shephelah, but also out of the harder formations of limestone found in the mountainous regions. The majority of the complexes were completed prior to or during the Second Jewish Revolt. Recently, the dating of a few networks—mainly small, unsophisticated ones—has been moved up to the time preceding the First Jewish Revolt.